Glamour is made from a fuzzy pink material covered in darker pink and purple spots. Her ears and the tip of her tail are purple. 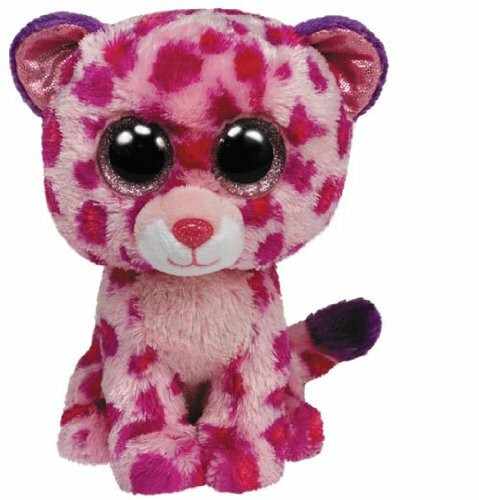 She has large, sparkly pink and black button eyes and a glittery pink nose. They make me so pretty I surely think! Glamour the Leopard was introduced on 1st January 2013. There is another version of Glamour which is exclusive to Justice Stores in the USA. The two vary slightly in colour with the Justice Stores exclusive being white with pink and purple spots.